An up and coming Greek producer by the name of Anestis Bazakas makes his debut on Deepsessions Recordings this week. Anestis has already had releases on InsomniaFM and the Usessions label and 2013 looks to be a great year for him. His first EP for Deepsessions is entitled ‘Stratosphere’ and it comes with two brand new original tracks that really showcase his dreamy progressive style. The title cut begins with a tough kick and some rhythmic tones which add some serious bounce early on. Ominous atmospheres, energetic drums, hazy piano stabs and delicately textured pads carry the track through the first half of record. The piece is void of any real breakdown which keeps the floaty energy constantly dreamy right through to a heavenly finish. The companion piece ‘Stigmes’ closes the EP out with a lovely sombre vibe. The beats and framework of the track are quite tough and very dance floor friendly but the surrounding atmospheres really create a magnificently dreamy vibe that you just get lost in. Could totally see this going down well at a big warehouse party in the morning hours. 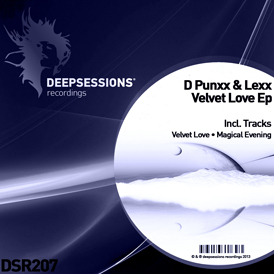 Fabulous EP from and a great find from Deepsessions!